On Thursday, 9/18/08 Backblaze celebrated the full 1.0 launch of the Backblaze Online Backup product. 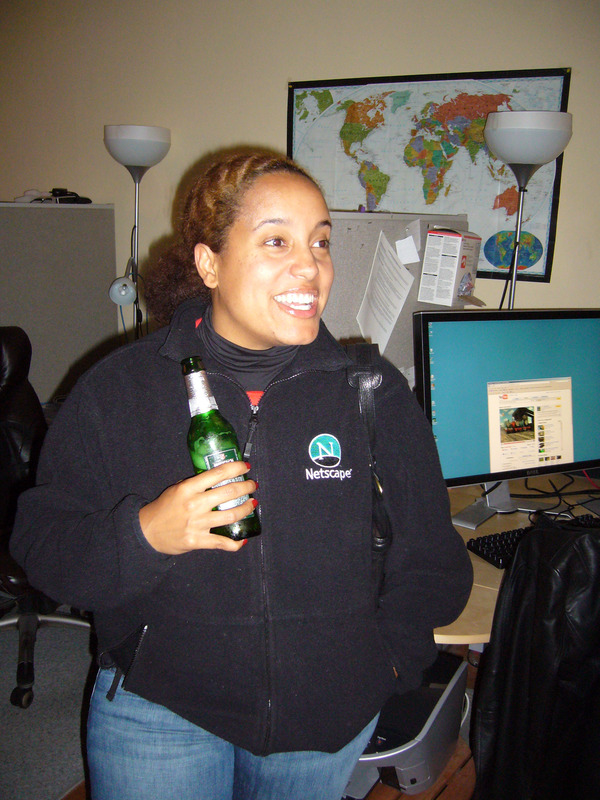 This is when we took off the word "Beta" from the website and announced to the world that our product is ready for general use. 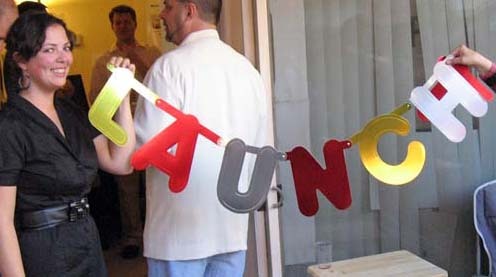 (The launch was actually on 9/16/08 two days earlier.) Below are some pictures from the launch party. 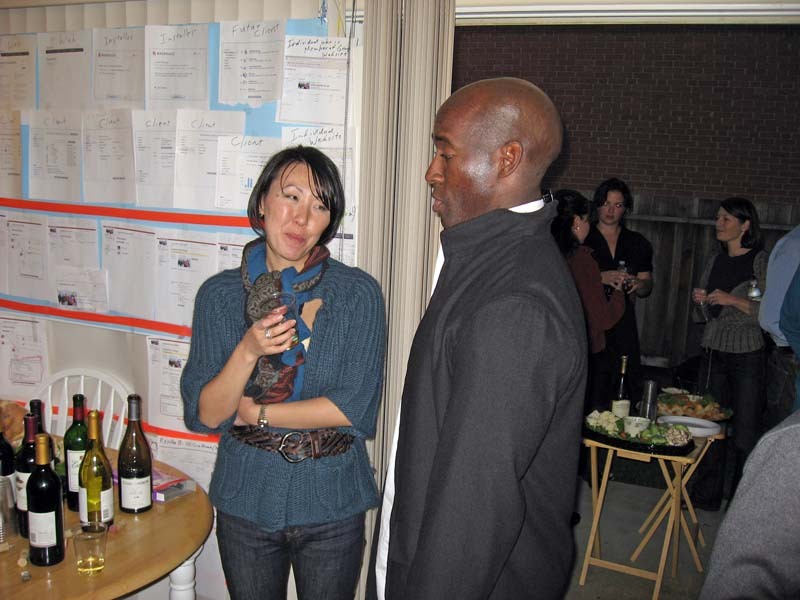 The office with some food and wine before the party started. Nilay Patel (on the couch) flew in from his home in London just to attend the party and arrived an hour early. 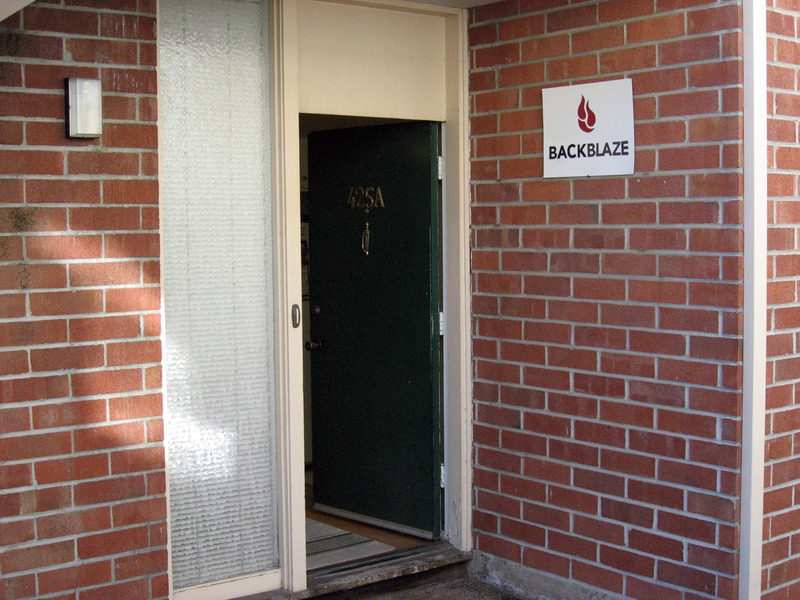 The large sign to direct guests to the Backblaze offices. The Backblaze front door, now open for business without a beta code! The Backblaze garden area before anybody showed up. Ashmeet Sidana discussing online backup with Leann Sucht. 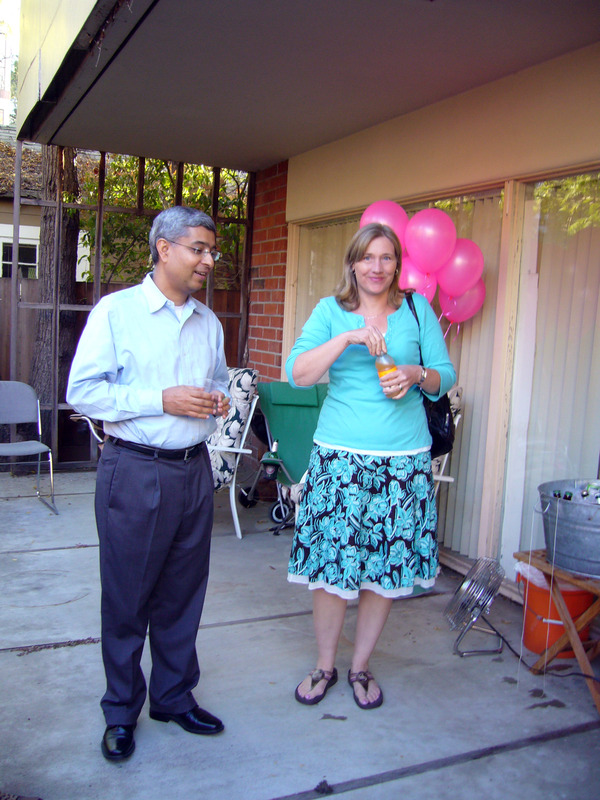 Ashmeet, Leann, and Brian went to Stanford together in 1991. The garden with a few guests. 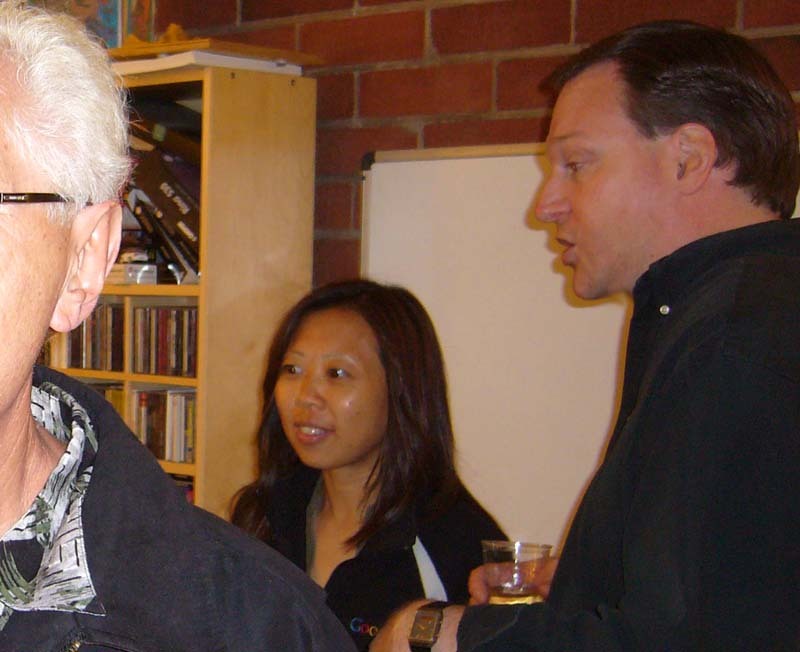 That's Genevieve Tregor on the left, Gleb Budman (CEO of Backblaze), and Chad West on the right. 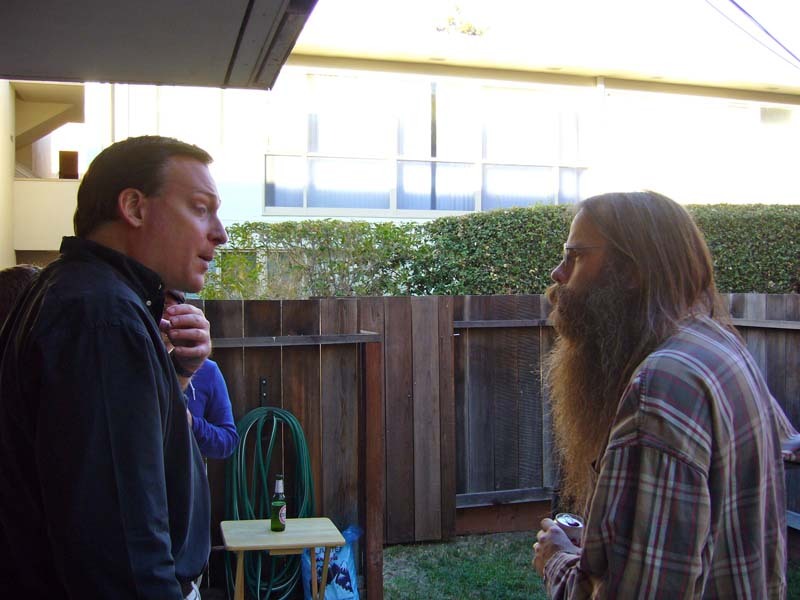 Brian talking with Kurt Shafer trying to convince him that online backup is the safest possible place to keep a redundant copy of his encrypted files. 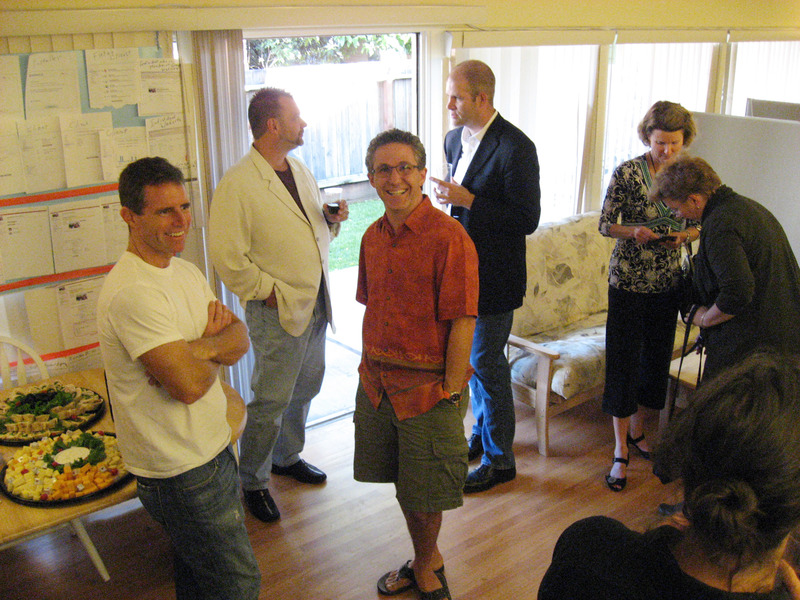 Will Harvey, unknown in blazer, Tim Nufire in red shirt (Backblaze VP of Engineering) Mike Pope, Phyllis Ball. 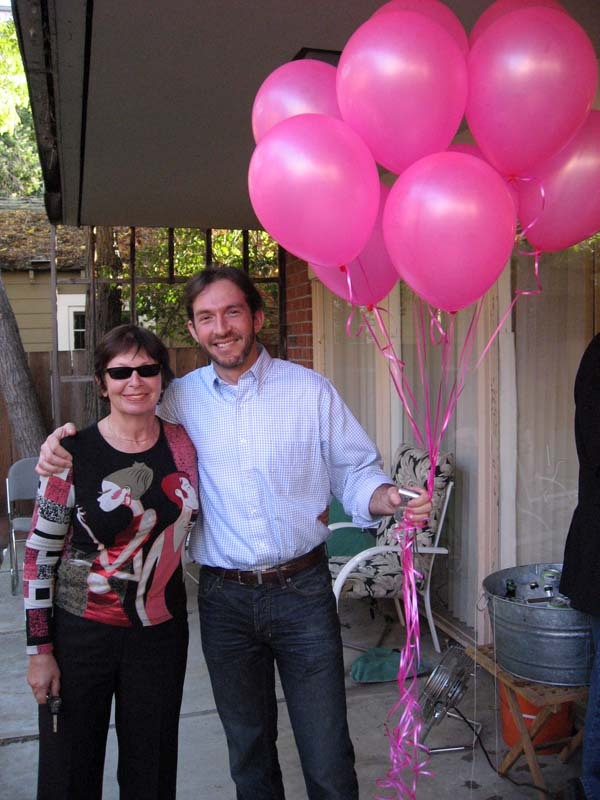 Gleb Budman (CEO of Backblaze) holding pink launch balloons. 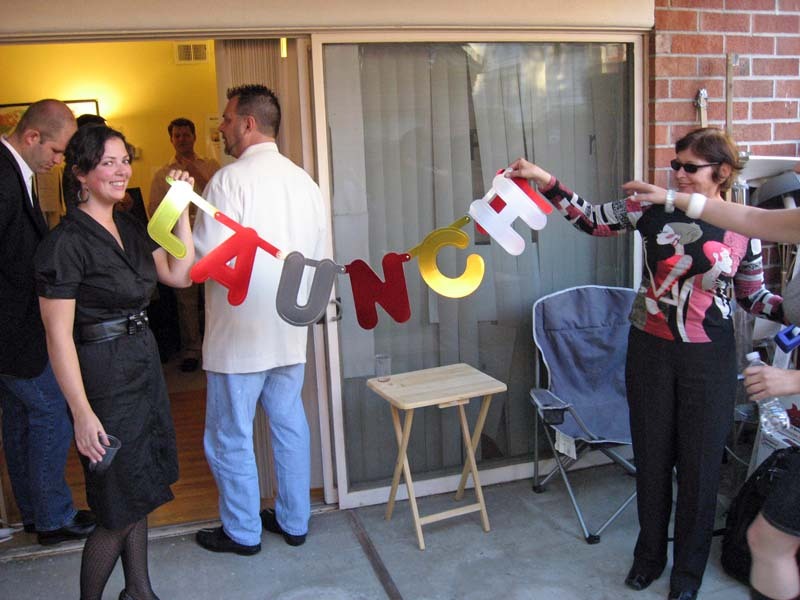 Cara Panebianco (the face of Backblaze, she appears on the homepage as the spokes model) holding a launch sign. 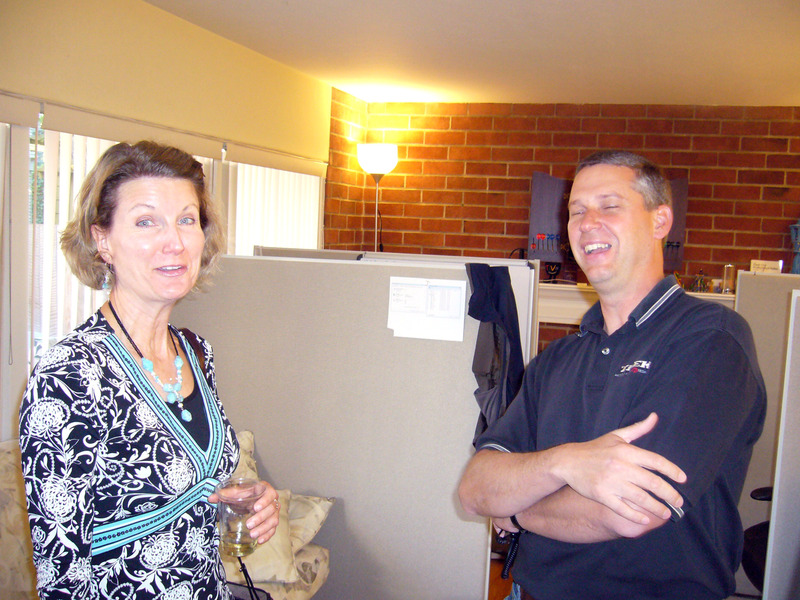 Steve Jankowski (far left) and Melissa Crique. That's Ilya with the black hair in back facing forward. Katherine Chung and Antonio McFarlane. 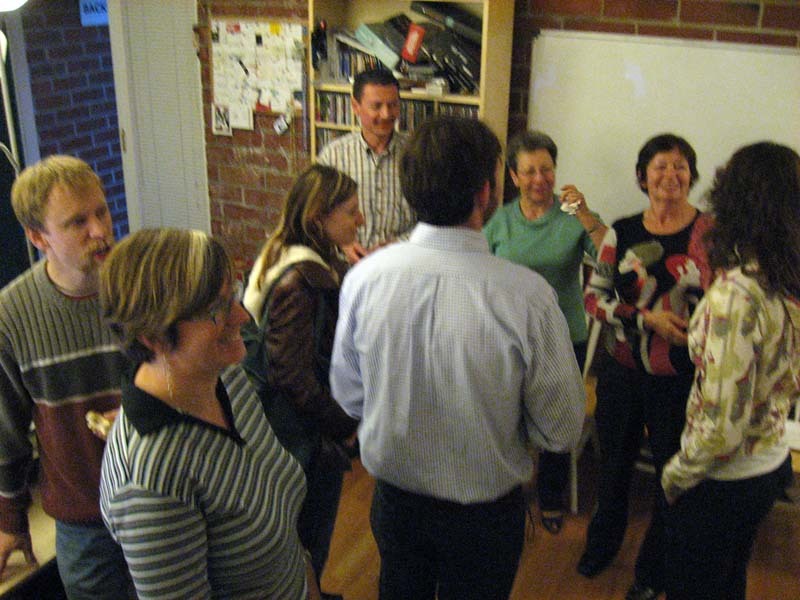 Cara Panebianco on the far left, Kim Jacobson facing the camera. In the group on the right that's Tim Nufire (Backblaze VP of Engineering), Chris Robertson (red shirt facing camera), Ken Fox in the green shirt facing away, and Danny White in a black shirt near the balloons. The guy in that group facing away from the camera in the blue shirt is David Murphy. Phyllis Ball and Nate Leon talking about online backup and Backblaze. Angela Lai talking about the effectiveness of web based backup where Backblaze pushes a copy of your files over the internet to a datacenter in San Francisco. It's the best way to keep your files safe, and it's easy to use. Angela is talking with Brian Wilson. 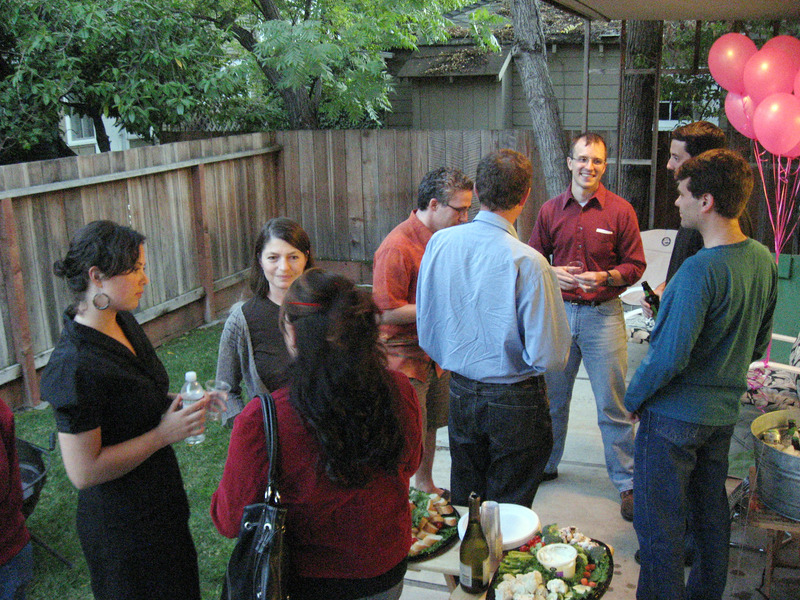 Nilay talking to guests at the Backblaze 1.0 Launch party. 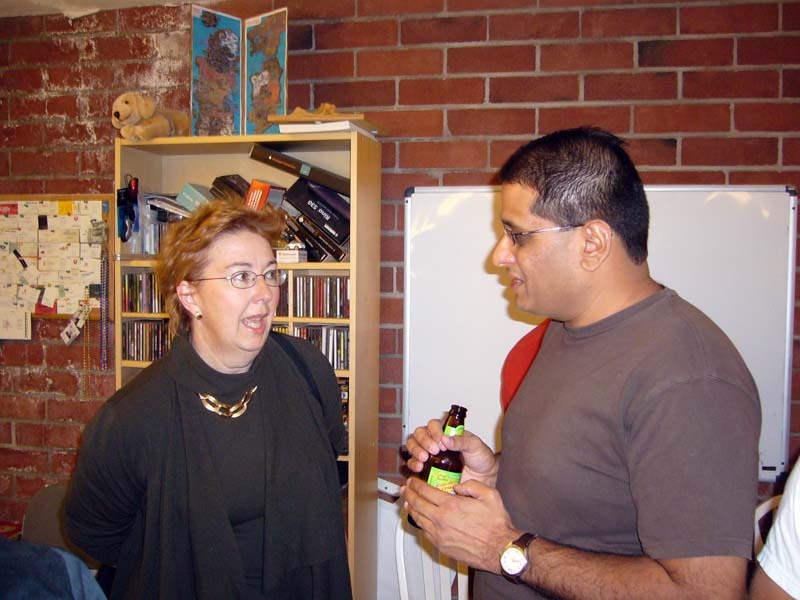 Jean Harvey at the Backblaze 1.0 Launch party! Alla Likhtenshteyn and Tanya Okmyansky. They are discussing whether Backblaze Online Backup is fantastic, or merely great. 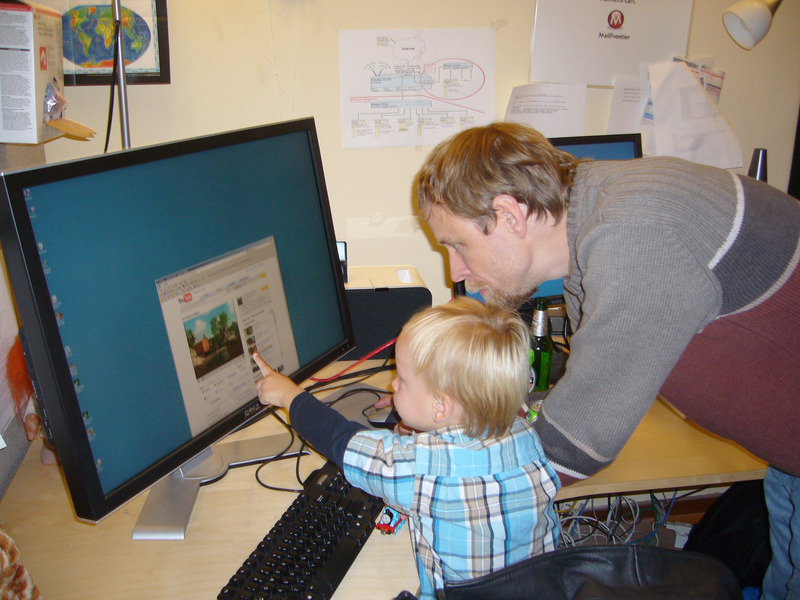 Here is one of Backblaze's brilliant engineers hard at work at his 30 inch flat panel monitor. Looking over his shoulder is his father, Steve Jankowski. 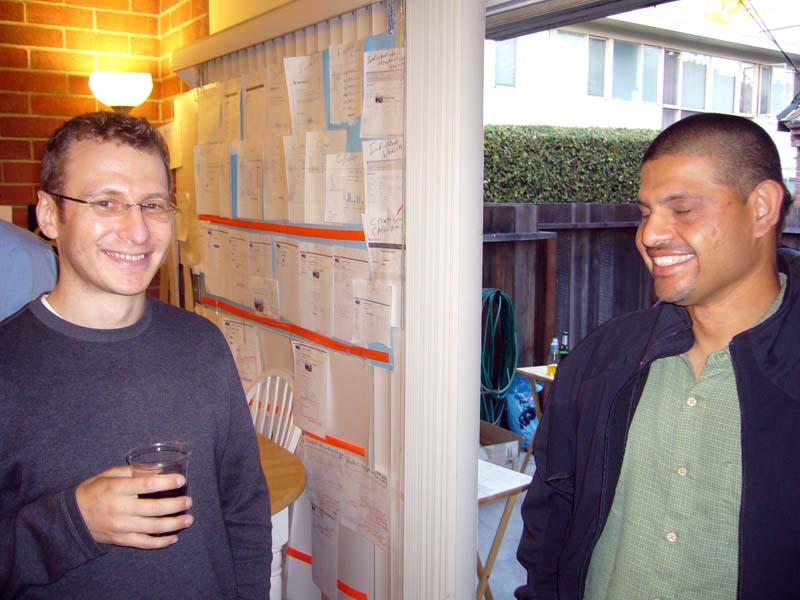 Vlad Bolshakov talking with Sushant Rao. 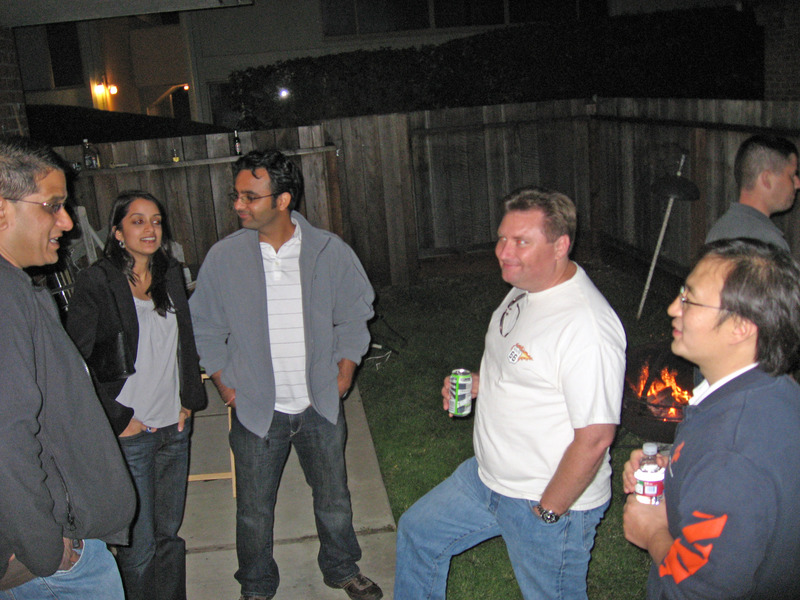 Nilay Patel at the far left, Bina Patel (Nilay's sister) and her husband (unknown). 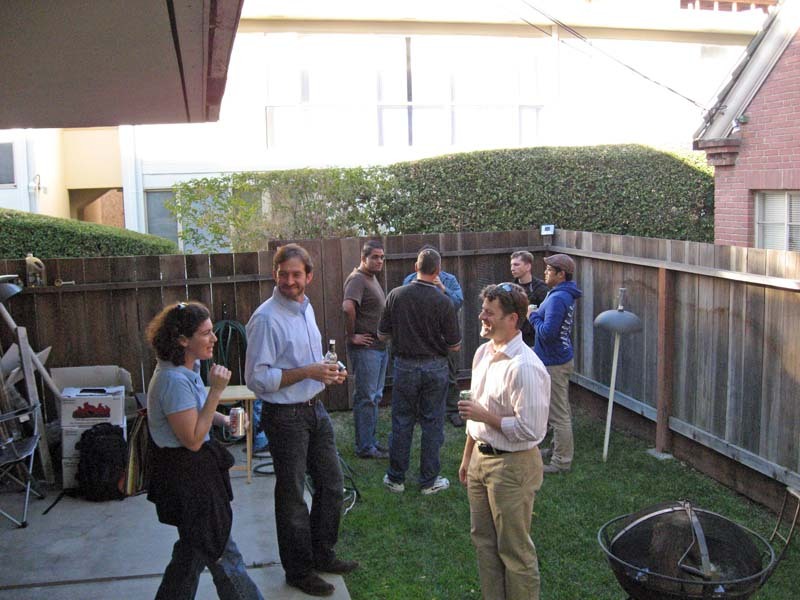 Sean Harris on the right in a white shirt, and Bryan Kim at the far right of the picture. 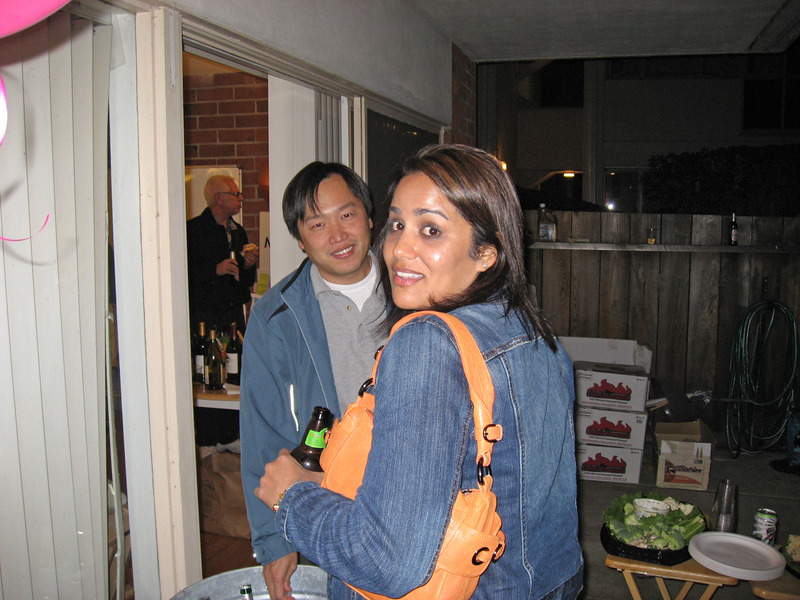 Sona Patel (Nilay's other sister) and Billy Ng (Backblaze founder "King Billy"). 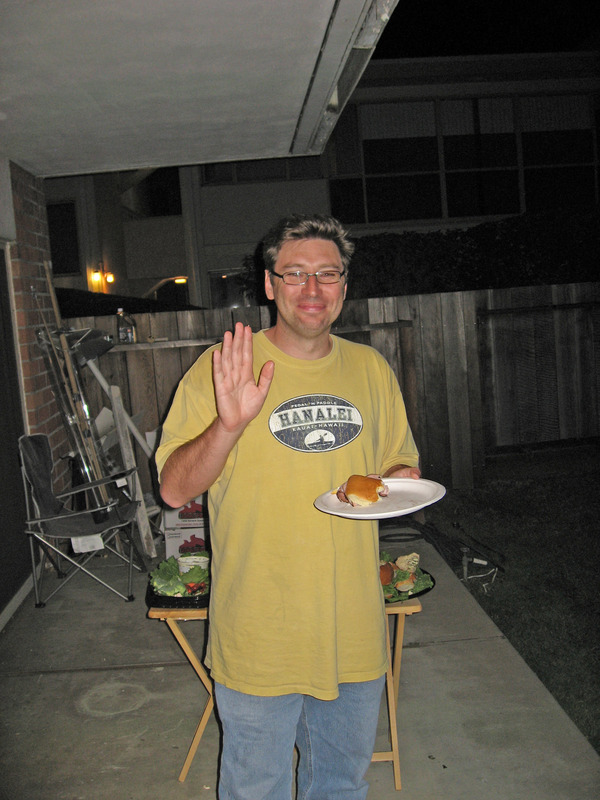 David Clancy waving for the camera. 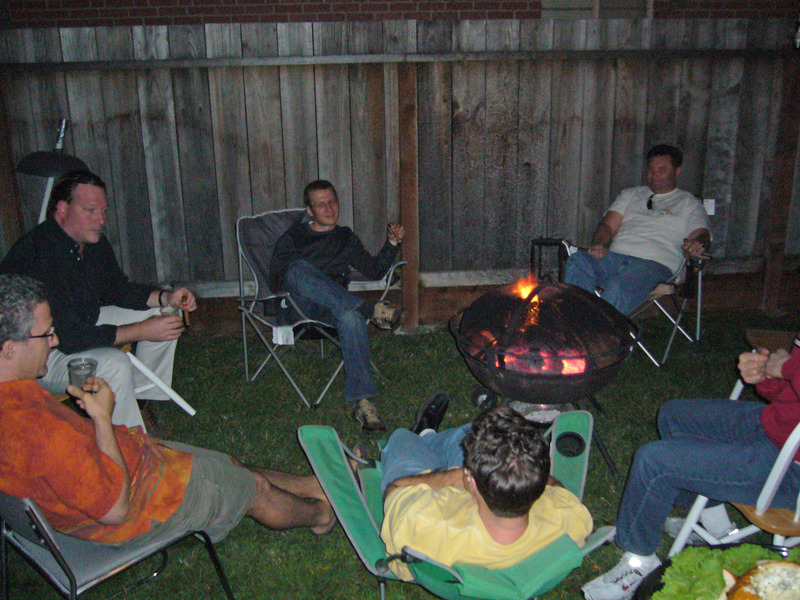 Finally, down to just the cool people smoking cigars and having a glass of scotch by the fire. :-) That's Tim Nufire in the very lower left, then Brian Wilson (me), then Vlad Bolshakov, and in the far upper right in white shirt Sean Harris. Cut off the right of the picture is Eric Hawkes and facing away from the camera in yellow shirt is David Clancy. Return to Ski-Epic home page.